Do you raise goats for milk and know how to make your own cheese? If you have an ample supple, then one option is to dehydrate it. 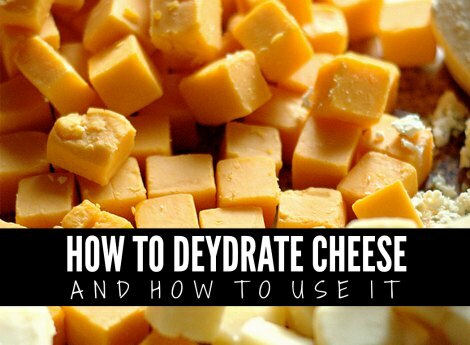 Yes, you can dehydrate cheese if you have the right equipment. If you make your own beef jerky, then the dehydrator you use is already available. The important thing about being able to dehydrate cheese is the preparation. This should really be done with cheese you are aging in your refrigerator. However, you may want to practice with old cheese to master the process. The best type of cheese to use for this task is farmhouse cheese or feta cheese. If you dehydrate cheese regularly, then you will have a source of food that will easily last for several months. Since you are making a dried cheese, then there are many awesome ways it can be used when preparing a meal.